Ethan Downey (Clann Eireann) and Conor Gallagher (Castlebar CC) staged a classic breakaway and sprinted together in the combined A1/2/3 Race today in Dunloy. In sun soaked North Antrim Downey came out tops at the line in a 62 rider talent packed field which took on 4 laps of the tough 18 miles 'Millbrae' Circuit. Dale Bonnar from Ballymena Road Club took victory in the A4 race with Darren McCann Dromara CC) and Peadar O'Mochlain (Emyvale CC) taking 2nd and 3rd respectively. Emyvale CC held their annual Gp on Sunday 21st May. The youth races kicked off at 10.00am with U16s off first with 4 laps of a 10km circuit from Emyvale to Corracrin to Glennan and back to Emyvale. They were followed by the U14s with 2 laps and the U12s with 1 lap. The racing was fast with plenty of attacking but all breakaways were taken back for the hill sprint at the end. Thanks to Emma McKenna, representing Emyvale Credit Union, for helping with prize-giving along with former pro cyclist and Irish Olympian, Mark Scanlon, who was to ride the main event later on. 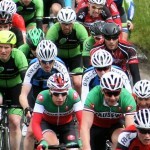 Bann Wheelers promoted their Grand Prix today on the roads around Coleraine. The race was run off in warm sunshine. 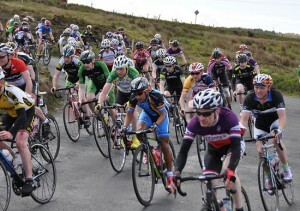 Once again Bann Wheelers pulled out all the stops to ensure that the event was both safe and enjoyable. The 2017 Rás Dhun na nGall takes place on the first weekend in June with a road race on Friday 2nd, A tough time trial on Saturday followed by a race in the afternoon and a final stage on Sunday with the race finish on the iconic Glengesh Pass. The race headquarters will once again be situated in the historic town of Ardara. 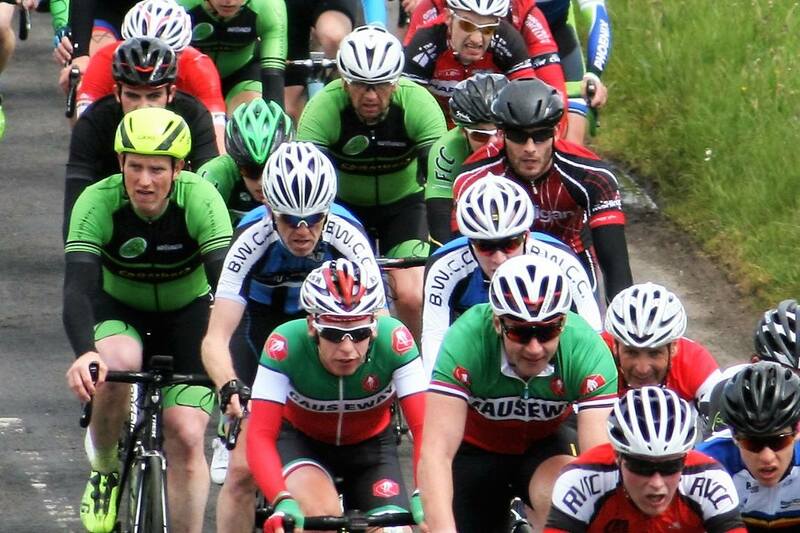 This weekend sees Foyle CC promote the North West 3 Day Cycling Race supported by Derry & Strabane District Council. This event will see 100 riders compete on the challenging roads of Derry and Donegal. The event is the biggest cycling race to come to Derry in many years and only weeks before Ireland's toughest professional race "An Post Ras" will race in many of the same roads. Adam Ward of Powerhouse Sport and Harvey Barnes of East Tyrone have been named as the two riders selected to represent Northern Ireland at the Youth Commonwealth Games in the Bahamas later this year. They will be accompanied by their coach manger Gary McKeegan. The team at Ulster Cycling News wish both lads the very best of luck in the upcoming Games. For the full list of athletes attending the Games see press release below. Marc Potts of Neon Velo takes another decisive victory when he ticked off the classic Tour of the Mournes promoted by Newry Wheelers. He was followed in by Breandan Flannaghan of the Powerhouse outfit. His team mate, Lindsay Watson took the final podium position.